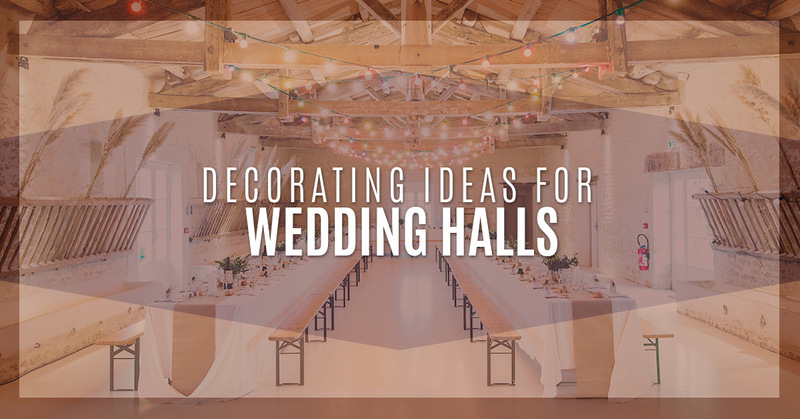 Once you have found the perfect wedding venue, nailed down the contract, and set a date, it’s time to start planning the decorations! Even though it can sound like a daunting task, start slowly, make a plan, and with the help of Alegria Gardens, you can create a theme and plan decorations around it to enhance the venue and give you the perfect environment to say ‘I do’ in. There are limitless options which can make it hard knowing where to start, but follow these tips and you’ll feel more relaxed in no time. This is definitely the right place to start and can help you focus when working on later steps and creating a cohesive look for the event. Start with choosing a color and from there you can decide on a style for your bridesmaid’s dresses, groomsmen colors, and other wedding venue decorations. The color can vary, from pastel pinks to rich dark blues, but once you choose a color, it’s important to stick to it. You’ll thank yourself later when the final day isn’t rainbow themed. Earthy barn themes, cool vintage, elegant neutral, or classy garden themes are huge trends that are also timeless. A great accessory for any theme or color is white Christmas lights. Used sparingly and in the right spots around your wedding venue, these small lights have an ethereal feel and give any space a romantic look. Drape them in the front of the wedding party’s table, around entrances, or around the cake to add attention to the area. Keep in mind to not go overboard, though. For indoor wedding venues like Alegria Gardens, adding a dramatic look to the ceilings makes the space a show stopper. Draping a light and translucent fabric from the ceiling is a great opportunity to play with lights and color if you want a modern look, or keep it simple with white lights for an elegant glow and a traditional look. No matter what you do with the lights though, the fabric can help bring the entire space together. Perfect for evening weddings, candles are another way to play with light and mood. Unlike wall or ceiling lights, candles have a playful effect to them whenever someone walks by and the flame dances and bounces light off the tables. You can also experiment with a variety of styles and colors too. Try tall holders with thin candles, or short, decorate containers with small tealights inside for a unique and truly romantic look. So many couples are taking engagement photos, share them for a few weeks on social media and put their favorite on a wall at home. To get more use out of them, add them to your decorating theme! Choose a space, maybe behind the gift table, that is dedicated to the happy couple. Blow up some of your favorite photos into poster size and you can even have your guests sign the poster! Use smaller photos to fill in space and your guests can admire what a beautiful and loving couple you are. Let’s face it, there can be a lot that goes into decorating a wedding venue to perfection. Enlist your family and friends to help brainstorm ideas and put the finishing touches together the day of the wedding. 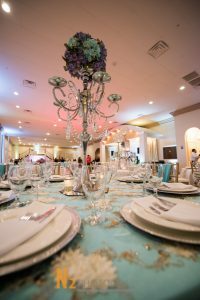 Even better, the team of wedding planners at Alegria Gardens would love to offer their professional services. Not only can you get a picture-perfect wedding, you get the keen eyes and attention to detail that’s needed to fulfill the wedding of your dreams. Alegria Gardens in Houston created a space that was inspired by Paris. 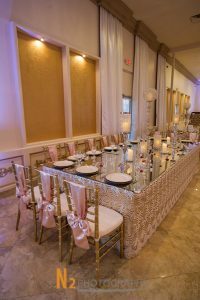 The classy and elegant wedding venue is perfect for couples who love romance and want the finest details for their wedding. To learn more and for a tour of the venue, give us a call today! We can’t wait to help you plan and decorate your wedding.